Looks like I've got Wasps, Hornets & Yellow Jackets, not honey bees. 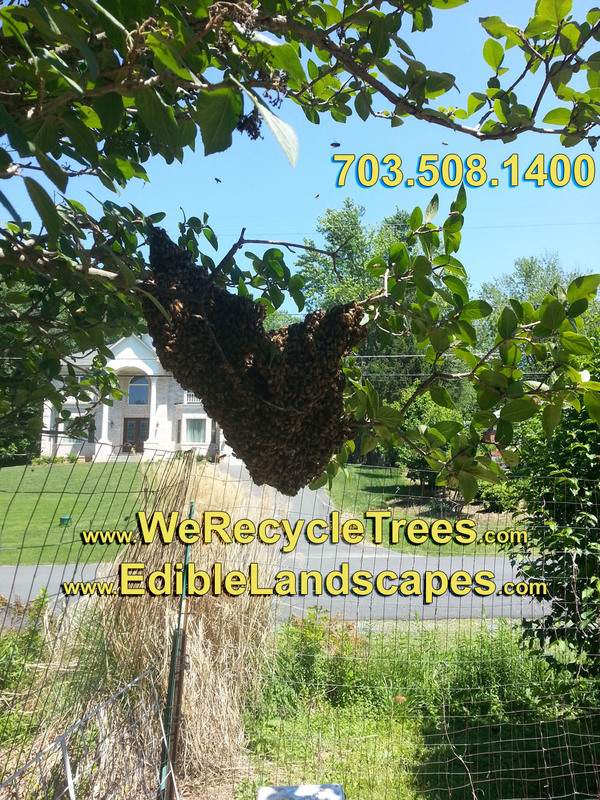 We can relocate honey bee swarms in the Northern Virginia area. 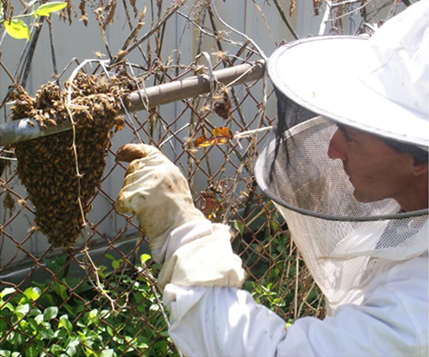 We'll move the bees to one of our bee yards. We started beekeeping in 2007 to pollinate our fruit trees, but the original Italian stock kept dying from parasites. Since then, we've been working on “Building A Better Bee ...”. 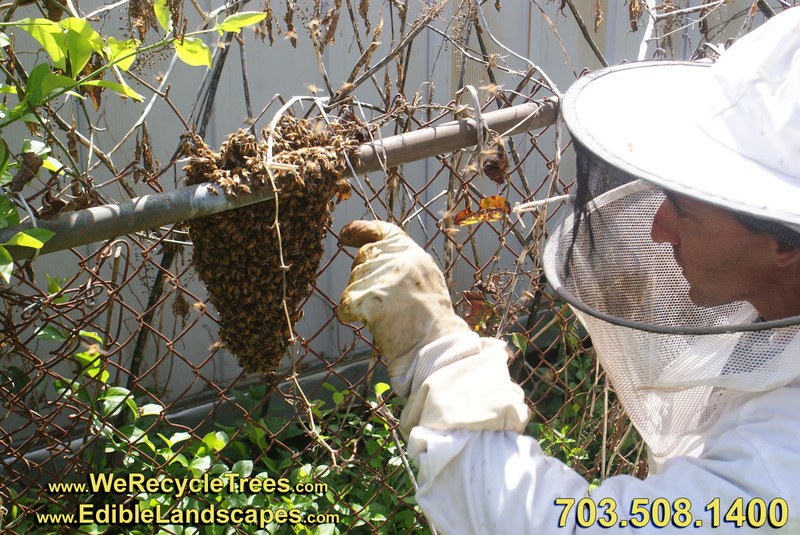 We remove colonies from structures or dying trees and use those in our breeding program. Bees that have survived in the wild have a natural resistance against the parasites killing many commercial bees. 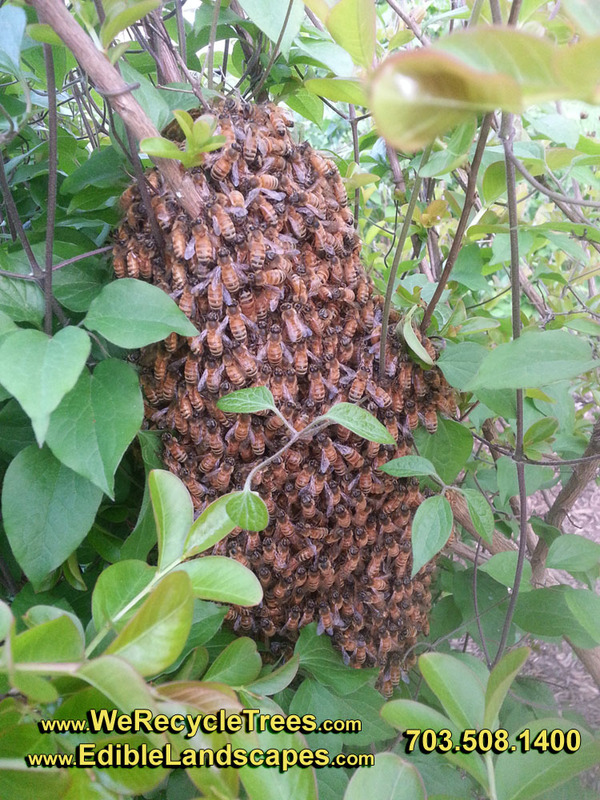 Call us if you have a swarm that needs to be relocated. We also have comb honey available. 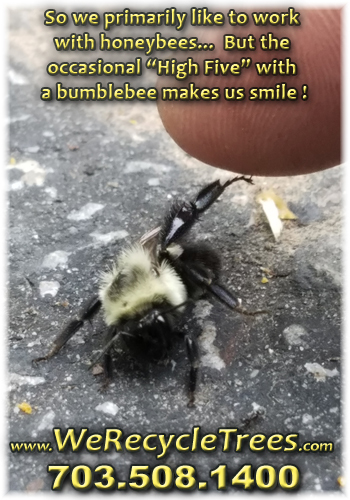 We primarily like to work with honeybees … But the occasional "High Five" with a bumblebee makes us smile! Volunteer for our program to Building A Better Bee ... and visit our Go Fund Me page to learn more about how you can help the honey bees. We don't sell or share your information with anyone or any other company, period. © Copyright 2007–2019 We Recycle Trees. All rights reserved.